Hannes Leitgeb completed a Masters (1997) and a PhD degree (1998) in mathematics and a PhD degree (2001) in philosophy, each at the University of Salzburg, where he later also worked as an Assistant Professor at the Department of Philosophy. In 2003 he received an Erwin-Schrödinger Fellowship from the Austrian Research Fund FWF on the basis of which he did research at the Department of Philosophy/CSLI at Stanford University. In 2005 he took up a joint position as a Reader at the Departments of Philosophy and Mathematics in Bristol. In 2007 he became Professor of Mathematical Logic and Philosophy of Mathematics. In autumn 2010 he became Chair of Logic and Philosophy of Language, Alexander von Humboldt Professor, and Head of the Munich Center for Mathematical Philosophy at the LMU Munich. 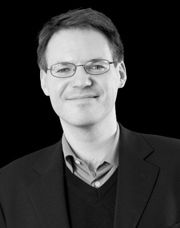 Hannes Leitgeb's research interests are in logic (theories of truth and modality, paradox, conditionals, nonmonotonic reasoning, dynamic doxastic logic), epistemology (belief, inference, belief revision, foundations of probability, Bayesianism), philosophy of mathematics (structuralism, informal provability, abstraction, criteria of identity), philosophy of language (indeterminacy of translation, compositionality), cognitive science (symbolic representation and neural networks, metacognition), philosophy of science (empirical content, measurement theory), and history of philosophy (Logical Positivism, Carnap, Quine). He is very much in favour of Mathematical or Formal Philosophy, i.e., the application of logical and mathematical methods in philosophy. Hannes Leitgeb has been Coordinating Editor of the Review of Symbolic Logic since 2013 and the Editor-in-Chief of Erkenntnis since 2011, he is an Associate Editor of Studia Logica, a Consulting Editor of Theoria, a Consulting Editor of the Journal of Philosophical Logic, a Review Editor of the Bulletin of Symbolic Logic, a Subject Editor in Philosophy of Mathematics for the Stanford Encyclopedia of Philosophy, a member of the Editorial Boards of the European Journal for the Philosophy of Science and of the Grazer Philosophical Studies, a member of the Editorial Board of PHIBOOK: The Yearbook of Philosophical Logic, an Editor of The Collected Works of Rudolf Carnap (Open Court), and an Editor of the LOGOS Book Series on Logic, Metaphysics, and Philosophy of Language (Ontos Press). He has (co-)edited special issues of Synthese and Studia Logica. In 2006 he co-organised the European Science Foundation Exploratory Workshop on "Applied Logic in the Methodology of Science" in Bristol, and in 2008 he co-organised the 31st International Wittgenstein Symposium on "Reduction and Elimination" in Kirchberg as well as a workshop on "Formal Philosophy" at the ECAP 2008. In 2010 he co-organised a workshop on "Scientific Philosophy – Past and Future" at Tilburg, and in 2011 he organised workshops on Modality, Computational Metaphysics, Bayesian Methods in Philosophy, Carnap, as well as the 1st Bristol-Munich Workshop in Munich. In 2014 he co-organised a Summer School on "Proof, Truth, Computation" which was sponsored by the Volkswagen Foundation. In 2015 he was the program chair of the 15th Congress of Logic, Methodology and Philosophy of Science (CLMPS) at Helsinki. Hannes Leitgeb is the PI of a DFG (German Research Fund) project on "Syntactic Approaches to Interacting Modalities", Co-PI of a joint French-German ANR-DFG Project on "Mathematics: Objectivity by Representation“, and Co-PI of the EU Horizon MSCA Innovative Training Network "Diaphora: Philosophical Problems, Resilience and Persistent Disagreement". He was the Co-PI of a MINCYT-DAAD (German Academic Exchange Service) Project on Truth, Paradoxes and Modalities, together with Eduardo Barrio from the University of Buenos Aires. He was the PI of the Bristol Group of a EUROCORES research project on Metacognition which was funded by the European Science Foundation and the Arts and Humanities Research Council (UK) from 2006 to 2009, and which also included teams in France, the US, Germany, and Austria (see http://mpscesf.free.fr/). He is one of the founding members of a Research Group on Logical Methods in Epistemology, Semantics, and Philosophy of Mathematics (the "Luxemburger Zirkel") which has been sponsored by the British Academy and the Bristol Institute for Advanced Studies (see http://users.ox.ac.uk/~sfop0114/rg/index.html). He was a member of the European Science Foundation project "The Philosophy of Science in a European Perspective", the European Science Foundation network "INFTY" on set theory, the German Research Fund (DFG) International Network "Philosophy of Mathematics: Sociological Aspects and Mathematical Practice", and of the Arts and Humanities Research Council Project on "Foundations of Logical Consequence". Hannes Leitgeb is also a member of the SH4 panel for the ERC Starting Grant 2016, the Executive Committee of the Association for Symbolic Logic (2015–2018), and the DFG Steering Committee for Philosophical Symposia} (since May 2015). He was a member of the European Science Foundation Eurocores Review Panel, a member of the Selection and Review Panel for the ESF Eurocores Scheme LogICCC, and a member of the European Science Foundation Pool of Reviewers. In October 2007 Hannes Leitgeb was awarded a Philip Leverhulme Prize (£70,000) by the British Leverhulme Trust. In November 2007 he received a Friedrich Wilhelm Bessel Research Award (€45,000) from the German Alexander von Humboldt Foundation. In February 2010 he was awarded an Alexander von Humboldt Professorship (€3,500,000) by the Alexander von Humboldt Foundation (see http://www.humboldt-foundation.de/web/ahp-2010-en.html, http://www.humboldt-foundation.de/movies/leitgeb_en.mp4). He was the University of Bristol candidate for the Leverhulme Research Leadership Award Competition and one of the finalists of the Goedel Centenary Young Scholars Competition that was organised by the Kurt Goedel Society and the John Templeton Foundation. In 2011 his article "An Objective Justification of Bayesianism II" (with R. Pettigrew) was selected for the Philosopher's Annual Vol. 30, and in 2015 his article "A Lottery Paradox for Counterfactuals Without Agglomeration" was selected for the Philosopher's Annual Vol. 34 (which are meant to include the 10 best papers in philosophy in 2010 and 2014, respectively, see http://www.philosophersannual.org). In 2012 and 2015 he received the Philosophy Students' Award for Excellence in Teaching at the Faculty of Philosophy, Philosophy of Science and Study of Religion at LMU Munich. In 2014 he became a member of the Academia Europaea and in 2016 a member of the Leopoldina (Deutsche Akademie der Naturforscher). Since antiquity, philosophers have questioned the foundations - the foundations of the physical world, of our everyday experience, of our scientific knowledge, and of culture and society. In recent years, more and more young philosophers have become convinced that, in order to understand these foundations, and thus to make progress in philosophy, the use of mathematical methods is of crucial importance. This is what our course will be concerned with: mathematical philosophy, that is, philosophy done with the help of mathematical methods. As we will try to show, one can analyze philosophical concepts much more clearly in mathematical terms, one can derive philosophical conclusions from philosophical assumptions by mathematical proof, and one can build mathematical models in which we can study philosophical problems. So, as Leibniz would have said: even in philosophy, calculemus. Let's calculate. Many of my papers are available online at Academia.edu. "HYPE: A System of Hyperintensional Logic (With an Application to Semantic Paradoxes)", to appear in the Journal of Philosophical Logic, 130 pages. "Probability for the Revision Theory of Truth" (with C. Campbell-Moore and L. Horsten), to appear in the Journal of Philosophical Logic, 27 pages. "Neural Network Models of Conditionals", to appear in the Formal Philosophy Handbook, edited by S.-O. Hansson et al., 29 pages.